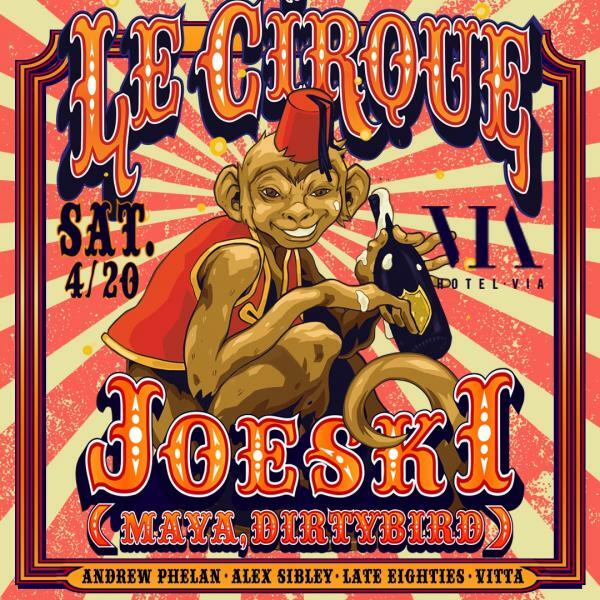 SET, Konnekted and Prismatic are proud to present the return of Le Cirque featuring JOESKI (Maya, Dirtybird, Defected, Crosstown Rebels, Toolroom)! Le Cirque pairs circus style production with high energy house music and a touch of craziness. Hotel Via’s rooftop has been decked out with a full cover clear canopy and there are space heaters throughout, so no matter what the weather you’ll stay warm and dry while taking in stunning 360 degree views of the city, directly across the street from AT&T Park. Join us early for dirty beats, and stay late to watch the sunset as we celebrate in style.